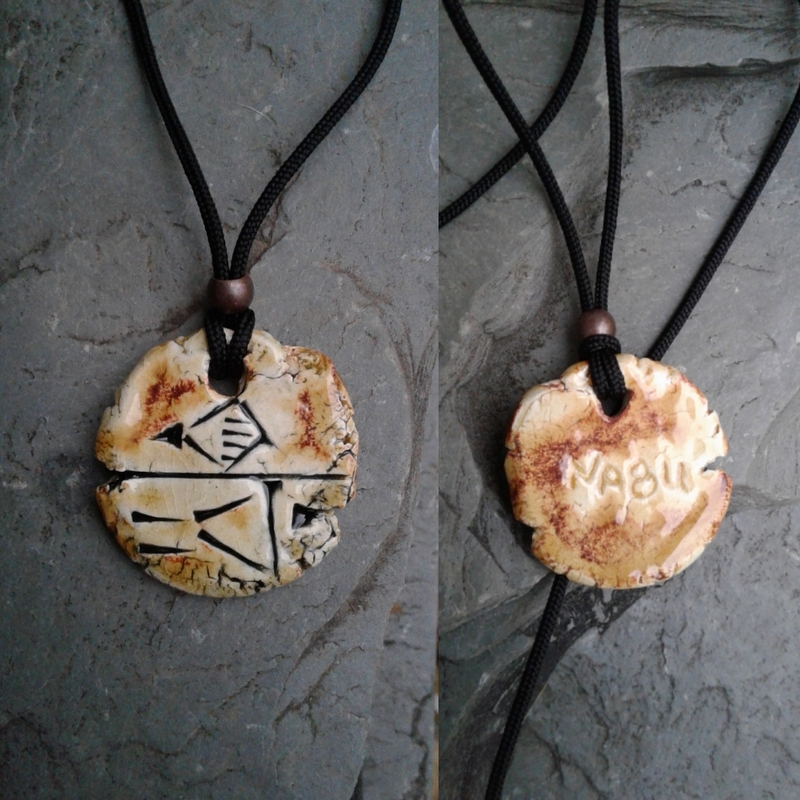 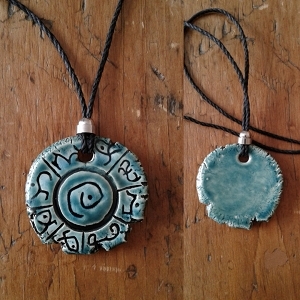 I formed this pendant, wrote the Sumerian word for SEER (or NABU) in the ancient language, dried then fired it. 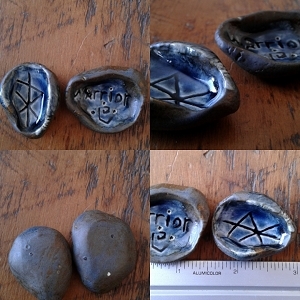 I then glazed it and back in the kiln for another firing. 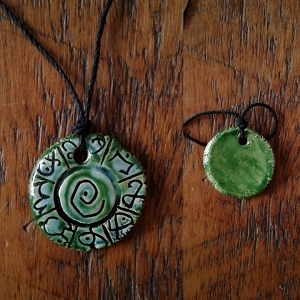 The pendant measures 1-1/2" long by 1-1/4" wide by3/16" thick (36mm x 31mm x 5mm) topped by a bronze plated metal ring and copper plated metal bead, then threaded onto an adjustable strong 2mm thick Hemp cord.